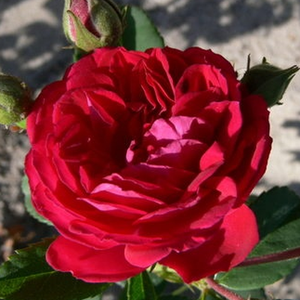 The full-doubled, dark red coloured flowers of this rambler is blooming first time in a season, in he begining of summer. 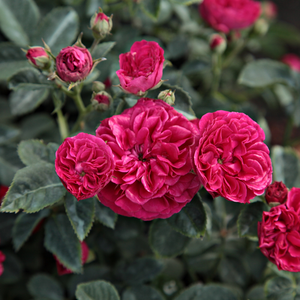 The full-doubled, dark red coloured flowers of this rambler is blooming first time in a season, in he begining of summer.Upright growing varietieswhich are suitable to make vertical surfeces. 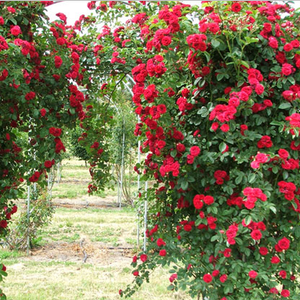 For example: pillars, obelisks or garden fances. 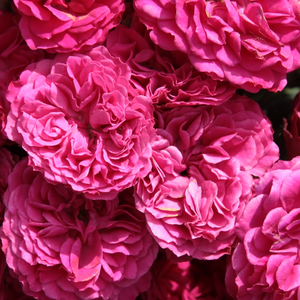 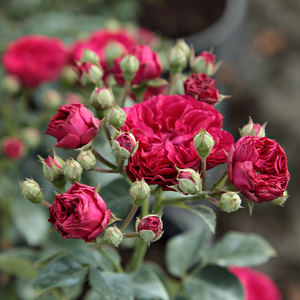 Profile: The full-doubled, dark red coloured flowers of this rambler is blooming first time in a season, in he begining of summer.